Patient Information: Sometimes we are able to reduce and pin fractures without having to open the skin minimizing scarring to the surrounding tissue. 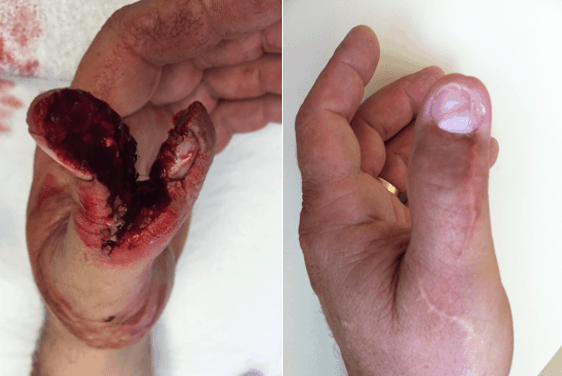 Patient Information: This patient had a table saw accident while at home. The blade cut the thumb in an unusual angle splitting the thumb along its axis. Dr. Nukta reconstructed the bone and reattached the tendon. The patient was very compliant with therapy and was able to regain complete function of the thumb.